It’s the question everyone's asking: when is the new Girl With The Dragon Tattoo book out? Well, let’s start with the bad news: it’s coming out later in the U.S. than everywhere else. If you’re almost anywhere else in the world, you can start reading on Thursday — but Americans have to wait a whole extra five days for the latest Millennium title. OK, now onto the good news: that’s still super-soon! From September 1, The Girl in the Spider’s Web will be on bookshelves across the country. It’s been over five years since we last had a taste of Lisbeth Salander, and I am so ready for more. As author Stieg Larsson tragically passed away before the books were even published, it seemed like three books would be all we’d ever get — even though Larsson himself had hoped to write at least seven more. But back in January, my wishes were granted: Swedish author David Lagercrantz announced that he’d been hired to write a new Girl with the Dragon Tattoo book. Which was maybe the most exciting thing that has ever happened. All year, I’ve been waiting. 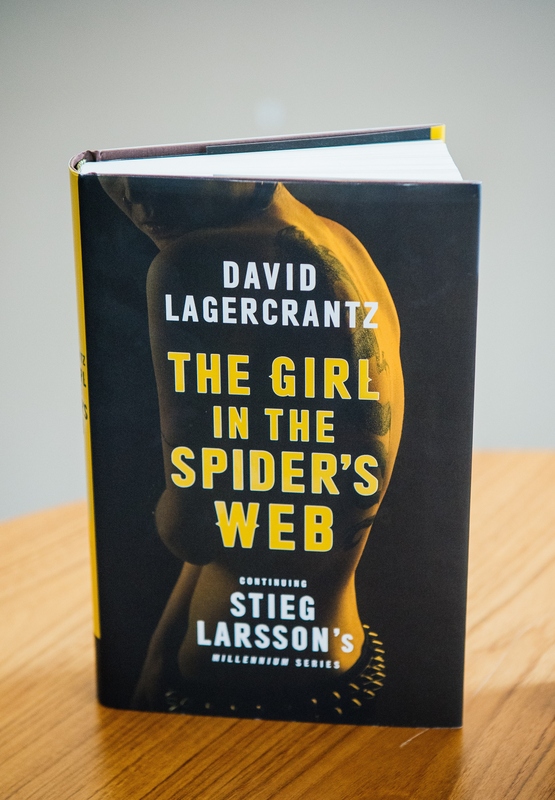 I shrieked as the new Millennium title was announced; I gasped as the cover was unveiled; I lapped up every new Lisbeth Salander detail that exploded onto the Internet. I read this The Girl in the Spider’s Web extract approximately 25 times. I’m so ready for this — and now it’s actually happening.